During Campaign 3 of the K2 Mission we observed Neptune at 1-min cadence for about 65 days. We made a movie of the motion and it’s really amazing. Jason Rowe has the best, most polished version but I’m posting my version here because I have a slightly different contrast that means if you look very carefully you can see the irregular satellite of Neptune called Nereid. Nereid follows behind Neptune about a third of the movie width back. Triton rotates around Neptune every 5.9-days in an orbit fairly close to face-on (120 degrees) and in a retrograde direction. The science we are trying to do with these observations is to try to detect seismic oscillations from Neptune. Just like bells ring, so do planets. By measuring the frequency of that ringing we may be able to discover something about the composition of Neptune. I also added a cheesy soundtrack. Here is Nereid for those who couldn’t find it, circled in red. For an upcoming paper I’m working on with my colleague Elisa Quintana I needed to make a illustrative diagram. I’ve never put a figure in a paper that isn’t a plot using data. I tried using a free trial of Omnigraffle. It seems to have come out reasonably well. This is my first theory paper. After 70 or so observational papers I figured it was about time I tried something different. However, we are performing simulations so the data analysis is very similar to observational work – we model simulated results rather than observations. Here’s a color image of Kepler-37 and surrounding neighborhood, taken from my back yard. This image was created from a stack of ~300 individual images, shot through B, V, R, and L (broadband for detail) filters. I’m sure we could make out Kepler-37b if it were not so small! For those how don’t remember, Kepler-37b is the a Moon-sized planet – the smallest exoplanet was have yet found. 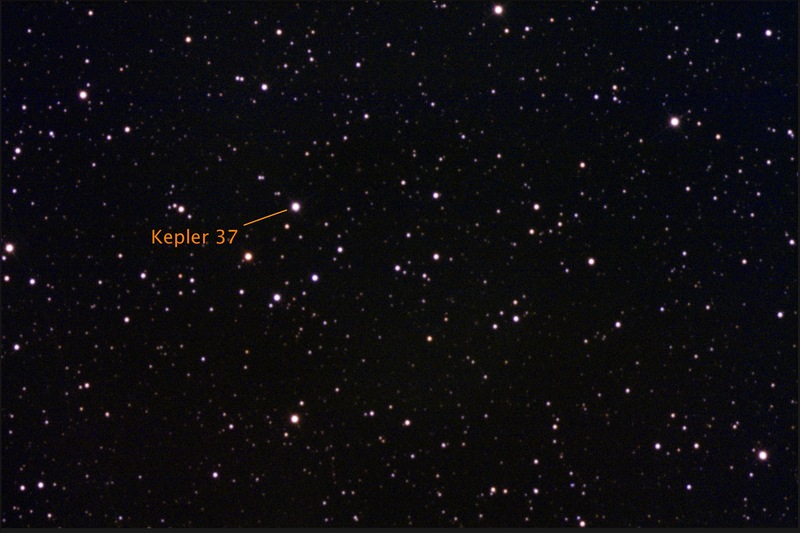 So, here is the image Todd took of Kepler-37. The star is 11.2 billion years old. The Universe was just 20% of its current age when this star formed. The star is just 36 parsec away. It is in our stellar backyard. The star is a high proper motion star. The star moves at half an arcsecond a year. The star is a thick disk star. It is part of an older region in our galaxy. The star is the densest where we have measured seismic oscillations. We used these oscillations to measure the star’s age and density. Five sub-earth-sized planets orbit the star. This system hosts a planet almost as small as Kepler-37b. The planets all have orbital periods of less than 10 days. This is the most compact planetary system. These planets are the oldest know terrestrial planets. Only the giant planets around Kapteyn’s Star are older. These planets must have been formed from a Type 1bc or II supernovae material, not Type Ia. Type Ia supernovae are caused by white dwarfs and white dwarfs were not abundant in the early galaxy. The orbital periods of the planets are all very close to mutuals resonances. The orbital period ratios of the five planets are 125:100:75:60:48. i.e. for every 125 orbits of the inner planet, the outer planet orbits 48 times. The paper is available from http://arxiv.org/abs/1501.06227. Ian Crossfield and collaborators posted a paper on arXiv earlier today announcing a system of three planets orbiting an M-dwarf star. These planets were found in data from Campaign 1 of the K2 Mission. This is a pretty spectacular effort given the data was only released three weeks ago! 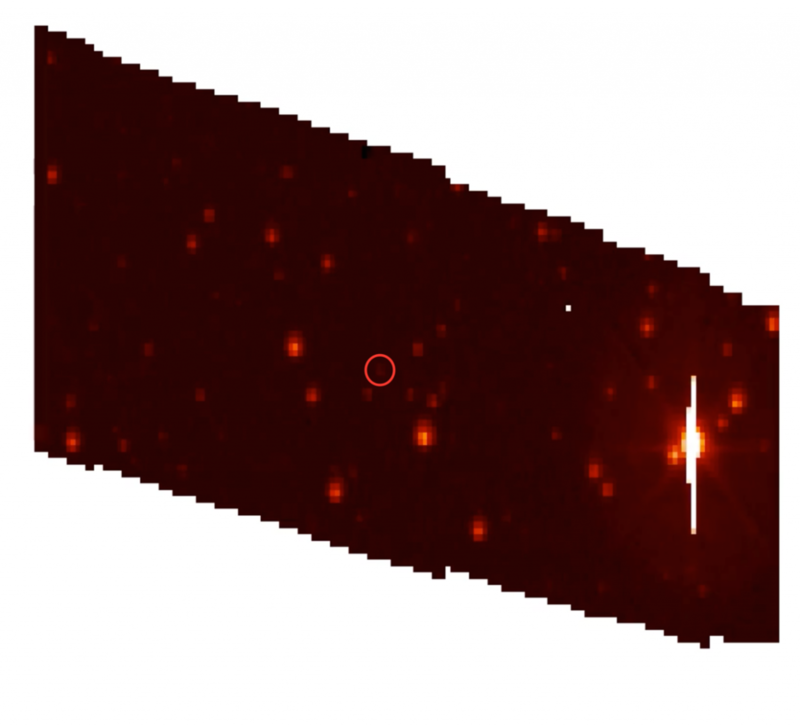 This announcement follows the detection of the first planet found by K2 by Andrew Vanderburg and team in December of 2014. Hopefully this is the first of many discoveries from Ian and collaborators. Light curve of EPIC 201367065 taken from Crossfield et al. 2015. Transits from three planets can be seen. 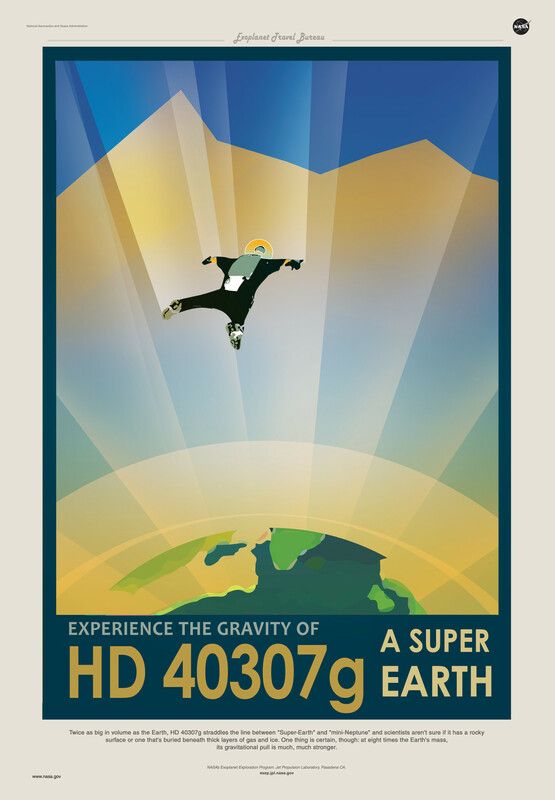 The NASA Planetquest team have released three cool 50’s sci-fi style posters. One of them is for a planet from a paper Elisa Quintana and I recently put out called Kepler-186f. 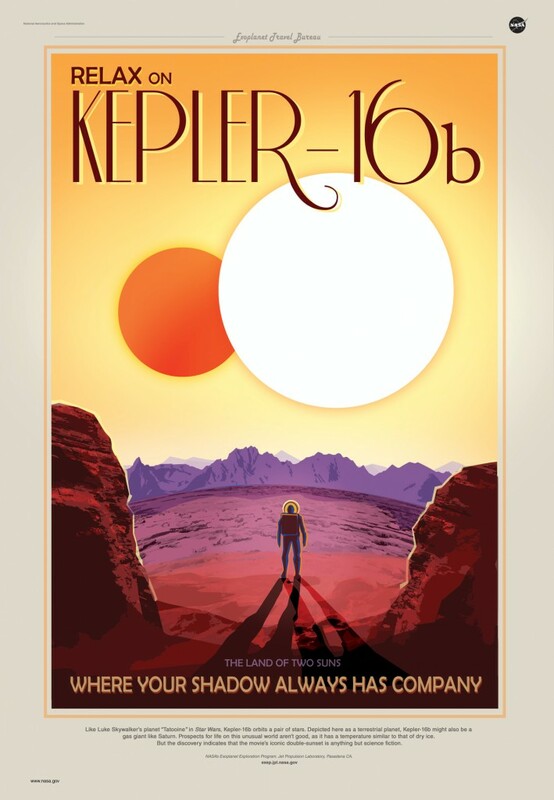 They also have posters for HD 40307g and Kepler-16b. 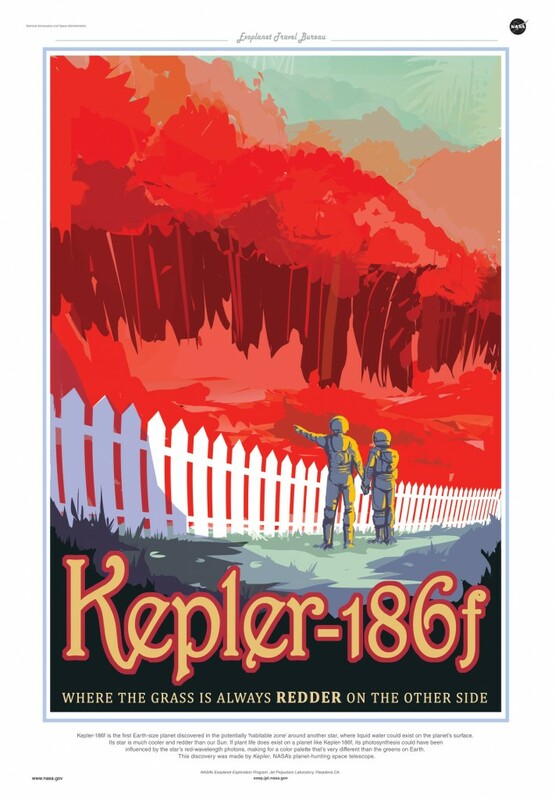 They are all awesome but Kepler-16b is my favorite. I hear there are another three in the works and the hope is that there will eventually be a total of 20. NASA announced the discovery of a dozen planets that could support life. DAMN! Just when I thought I was done booking “It’s the Girls” tour! Our Kepler-186f paper came out last week and we got a lot of press attention (lots more than I expected!). Tim Pyle and Robert Hurt at Caltch/JPL did an amazing job of of creating a beautiful image which was shown around the world on TV and in print. Artists concept of the Kepler-186 system by Tim Pyle and Robert Hurt. Clicking on this will take you to the full image which is fantastic! I received a couple of questions from people about why the image looks the way it does and whether there is some scientific basis to the depiction. First, I want to say that the magic was all performed by the artists at Caltech/JPL. However, Elisa Quintana and I discussed with them at length about how we wanted the planet to look. There was a lot of very fun back-and-forth where we tweaked things to get them how we wanted. The artists turned our blurry vision into a high resolution reality (if I sound gushing here it’s because I am truly in awe of their work). The information we have at hand are the size of the planet, the size and temperature of the star and the distance the planet is from the star. This actually provides us with quite a bit of information to work with. The temperature of the star is roughly 3800 Kelvin. There has been some interesting work on convolving the spectrum of various stellar types with the response function of the human eye. Without an atmosphere, the Sun would appear almost white to our eyes (not yellow as you might imagine). We started with using the correct color for this star. However, rendering the star the true color made it look very much how we might imagine the Sun to be (i.e. a yellow/orange color). Part of the story we wanted to tell was that this star is not Sun-like, so we did make the star slightly more orange than it would really appear (the color show is correct for a star a few hundred Kelvin cooler). The planet is bathed in orange light from the star, the planet receive the correct level of illumination from the star given its orbital distance. We wanted to show the planet illuminated and also show the star. This meant we had to alter the angle of incoming light from the star in order to see some of the planet’s surface. In essence, the star is shown at the wrong phase angle relative to the planet. If we didn’t do this we would only see the night side of the planet which would be fairly boring and not allow us to show a depiction of surface conditions on the planet. The planet is shown with yellowy continents and grey/blue oceans. There are ice caps and clouds that appear orangey. Oceans on the Earth appear a deep rich blue color, this is because of the blue light from the Sun Rayleigh scatters off the ocean. This star emits very little blue light which we represented by making the sea a dull grey/blue color. Ice and clouds Mie scatter light which is fairly uniform across all wavelengths hence clouds and ice appear the same color as the star. Then we come to the color of the continents – we had fun with this one. When we were designing the image Elisa Quintana found an article by Nancy Kiang titled The Color of Plants on Other Worlds. Nancy is a scientist based at NASA Ames (she moved to Ames from GISS the week after we talked to her, small world heh!) who works with the Virtual Planetary Laboratory. We called her up and chatted about what colors plants might be on planets orbiting cool stars. While this is a very complex issue involving evolution of photosynthesis, she recommended a dark yellow/green color as a potential color for alien planet life on this world. We wanted to highlight the differences between this world and Earth. The low illumination level is purely because this planet receives less light from its star than we do from the Sun. Because of this lower illumination, we speculated that this planet may be a little colder (note that a planet’s temperature is determined by its atmosphere, something we know nothing about). So we made the planet have prominent ice caps and also had the plant life (i.e. the yellow color on the surface) cluster at the equator, similarly to how we see lots of green colors at mid-latitudes on Earth in temperate regions – temperate regions in the artists concept are clustered around the equator. Finally, we wanted to depict the other planets. Three of the other planets are clearly seen nearby the star. 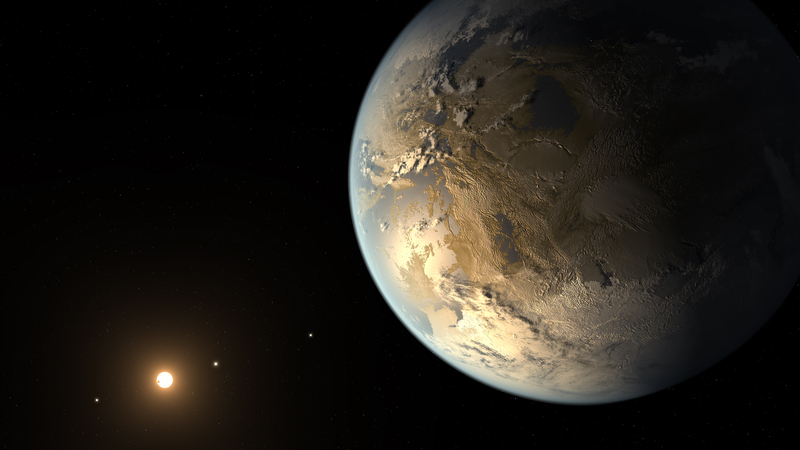 They are near to the star because they much closer to the star than Kepler-186f. One of my favorite parts of the image is that we have one of the interior planets transiting the star. We wanted to make the planet just large enough to be detectable. This meant increasing its size a little – in reality it would be able 1/30th the size of the star. The purpose of having the planet there was to show how we detect planets with Kepler. I hope this post has been informative and demonstrates that a lot of thought goes into making these artists concepts. They are necessarily speculative, for instance we don’t know whether the planet has water, continents, ice, clouds etc. but we do know that Earth has these things. Hopefully this image provides a nice tool to explain what might be the same and what might be different between this planet and Earth. I finally got around to watching the first episode new Cosmos. Coincidently, I’d been chatting to Jill Tarter from the SETI Institute the previous day so Carl Sagan was on my mind. We were chatting about pointing the Allen Telescope Array at some interesting Kepler planets. More about this another time, but just to say this: it almost certainly won’t see anything interesting but… but… if it does this will be the single most important discovery in history. On the whole I enjoyed Cosmos. I was reminded my how prescient Giordano Bruno had been. I’m using this post to just paste a quote of Bruno’s from 1584. It sends shivers down my spine. There are countless suns and countless earths all rotating round their suns in exactly the same way as the seven planets of our system. We see only the suns because they are the largest bodies and are luminous, but their planets remain invisible to us because they are smaller and non-luminous. The countless worlds in the universe are no worse and no less inhabited than our earth. For it is utterly unreasonable to suppose that those teeming worlds which are as magnificent as our own, perhaps more so, and which enjoy the fructifying rays of a sun just as we do, should be uninhabited and should not bear similar or even more perfect inhabitants than our earth. The unnumbered worlds in the universe are all similar in form and rank and subject to the same forces and the same laws. Impart to us the knowledge of the universality of terrestrial laws throughout all worlds and of the similarity of all substances in the cosmos! 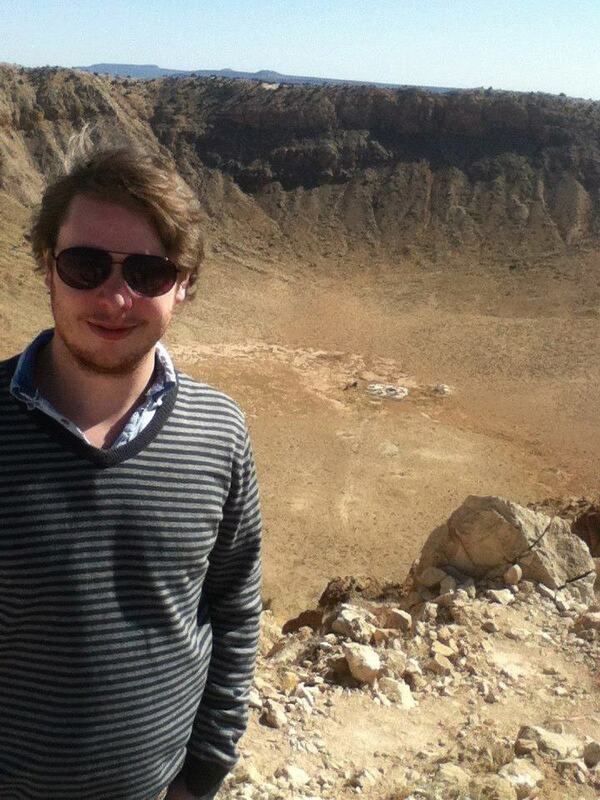 Destroy the theories that the earth is the centre of the universe! Crush the supernatural powers said to animate the world, along with the so-called crystalline spheres! Open the door through which we can look out into the limitless, unified firmament composed of similar elements and show us that the other worlds float in an ethereal ocean like our own! Make it plain to us that the motions of all the worlds proceed from inner forces and teach us in the light of such attitudes to go forward with surer tread in the investigation and discovery of nature! Take comfort, the time will come when all men will see as I do. The target list for K2 Campaign 0 (C0) was released earlier today. C0 is an engineering test primarily to learn about pointing over en entire campaign, but we hope to do some amazing science. The test will begin next week and is designed to last around 75 days. We will target over 7500 stars and galaxies, with targets including cool stars, bright stars, nearby galaxies, a pulsar, red giants, cataclysmic variables, and many more. However, the most exciting thing to me is that we are going to put a giant pixel mask over the open cluster M35. There are so many stars of interest in this cluster we decided to get the whole thing. What will be learn? Firstly I hope we will find some planets orbiting the (relatively) young stars in this cluster. Do planets form in clusters, what sizes are they? 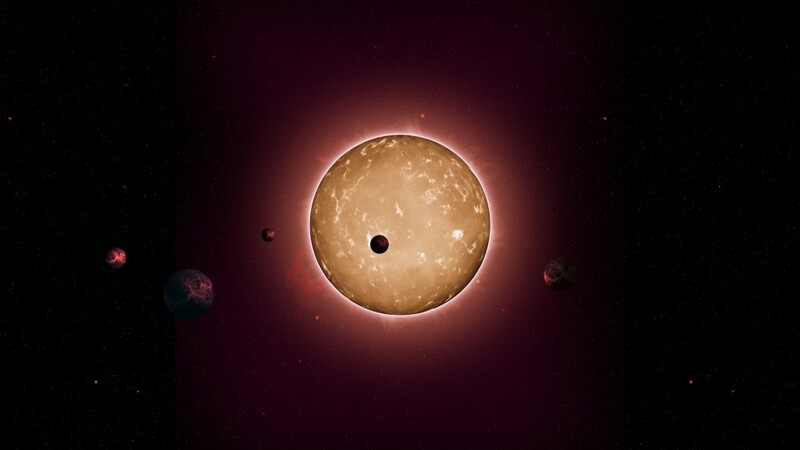 Do they look different from planets in the Kepler field? Additionally, we can learn about how fast every star rotates helping us to understand how to measure a star’s age from its spin rate. The green regions are the pixels that are going to downlinked to Earth for one of K2′s 76 functional CCD channels. As you can see, there is a giant continuous region – this is the open cluster M35.